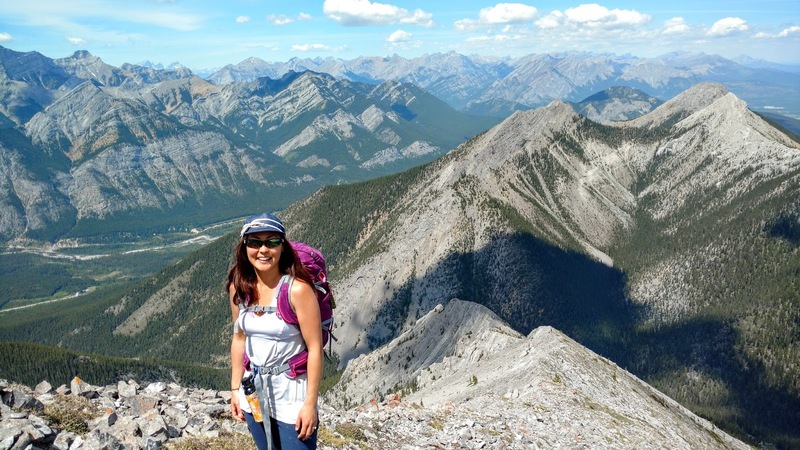 A hammock small enough to take hiking? Yes, please! 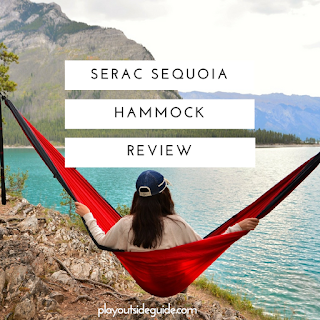 The Serac Sequoia is not your garden variety of hammock. 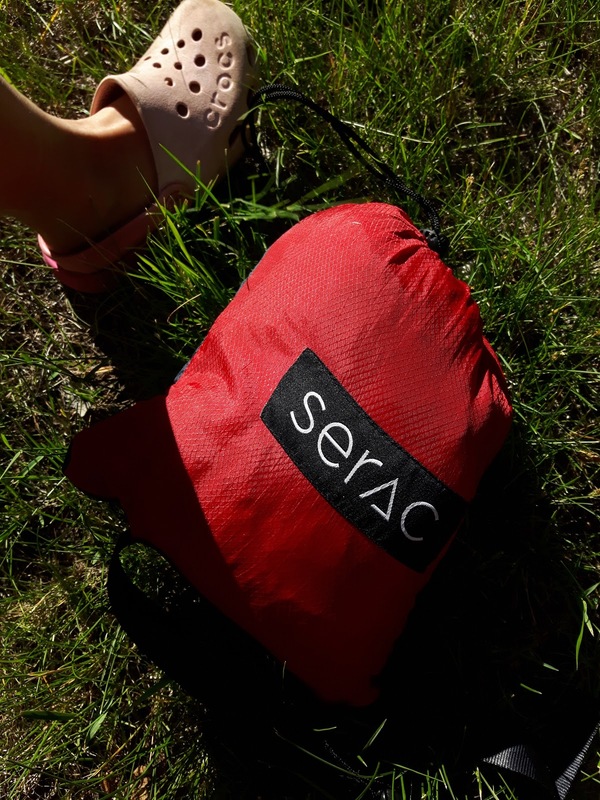 At 6 inches by 7 inches (in its included stuff sack) and only 1.6 pounds including the tree straps, the Sequoia hammock is compact and light enough to take anywhere. Setup takes seconds, and with room for two, you only need to carry one hammock for you and a loved one. We've been testing the Sequoia for 2 months. 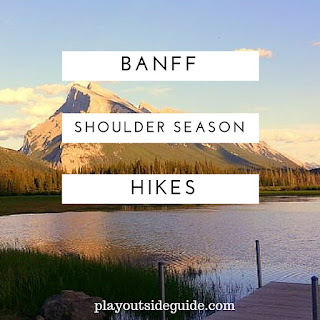 See what we loved about it! Soft and breathable ripstop nylon means you can lie in the hammock on a hot day without getting sweaty. We loved that the fabric was soft, smooth, and not scratchy. We have taken many a comfy nap in our Sequoia because it is roomy and not tippy. The generous width and length allows you to stretch out flat so you can sleep in the hammock without being squished. You can even sleep on your side without falling out as there is lots of fabric on the sides. If you like, you can even drape the sides over you for privacy or shade. Built for two adults (up to 400 lb total capacity), you can snuggle with a loved one, or pile in with the kids. We easily fit one adult and two kids in the hammock. So fun! When I first opened the hammock, I must admit I had a "What the heck?" moment as there were no instructions, but I very quickly figured out how to set it up. Simply wrap a tree strap clockwise around the tree, pull the tail through a loop, and attach a hammock carabiner to the tail (clip in to a loop close to the tree). Give a good tug to ensure the strap is secure, then repeat on the other side. It literally takes seconds! Instead of rope that cuts into tree trunks, the Sequoia's tree straps are made of webbing and lie flat so they don't hurt the trees. They stay in place because they don't stretch and are well stitched so we felt secure setting our hammock up over sharp rocks. 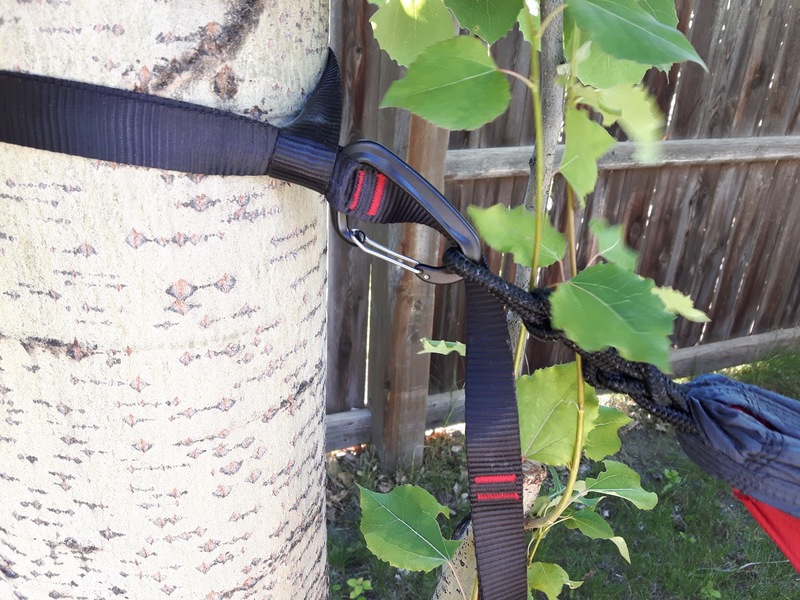 Two 6' tree straps with 10 anchor points each are included. 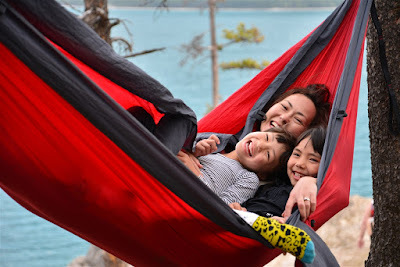 Since the material is so light, I was concerned about the hammock's longevity, but the Diamondweave ripstop nylon has proven to be quite durable. 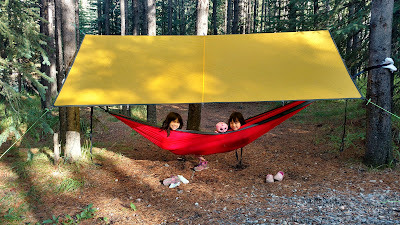 The hammock has survived being left outside for a couple weeks straight, a squirrel sliding in it and chewing on it (the squirrel chewed tiny holes but the holes did not spread or run thanks to the ripstop fabric), and our two kids repeatedly roughhousing in it. 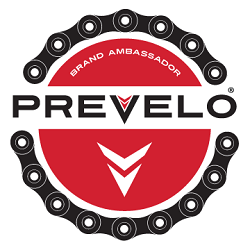 There is a 5 year manufacturer's warranty just in case you have any issues. The Sequoia hammock has 6 built-in gear loops you can use for staking out your hammock, hanging gear, or attaching a quilt or bug net. The Sequoia is a great value as it is an extra large double hammock that comes with tree straps (2 x 6'), aluminum carabiners, and a stuff sack with compression straps and a whistle buckle. Many other companies sell the hammocks and straps separately. Everything you need is in the stuff sack so you can get hammocking right away! Optional upgrade to longer tree straps (we improvised by adding some rope when we were camped near some huge cottonwoods). Better stitching of the compression sack to the hammock - After 2 months, the compression sack is starting to separate from the hammock. Fortunately it was a quick fix to reattach the edge of the stuff sack to the hammock. We have had no issues with the hammock or straps though! 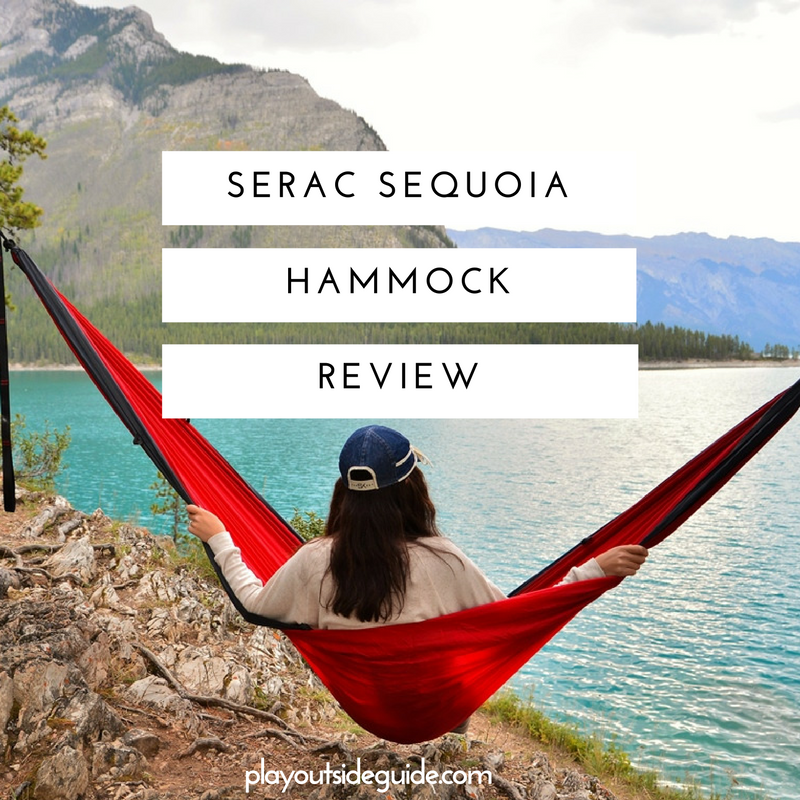 Play Outside Guide gives the Serac Sequoia hammock two thumbs up! 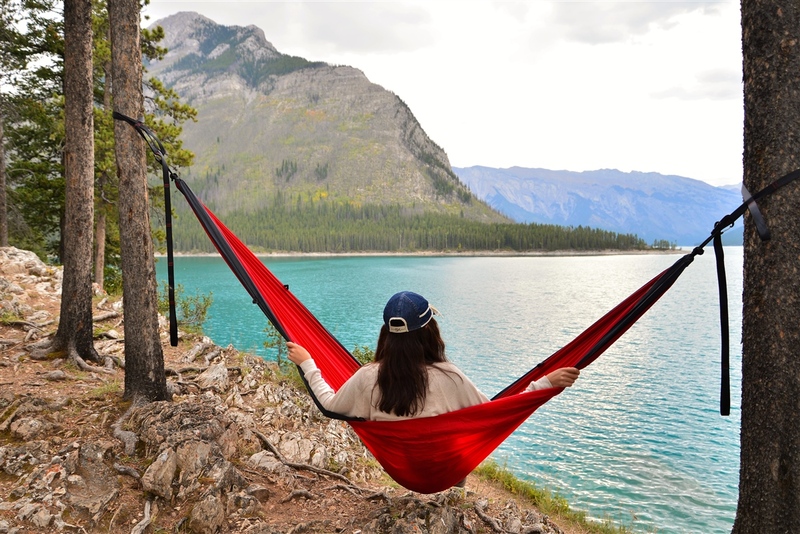 The Serac Sequoia XL Double Hammock is the ultimate in comfort, and quality, and is lightweight enough to take hiking or backpacking! The two guys, Wilson and Jeff, that run the company are pretty cool too, so it was a pleasure to work with them. Disclosure: Serac generously provided me with a free hammock to test and review, but all words and opinions are my own. 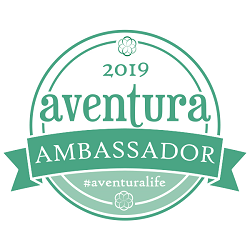 Affiliate link: I get a small % of sales but there's no extra charge to you. So sorry! 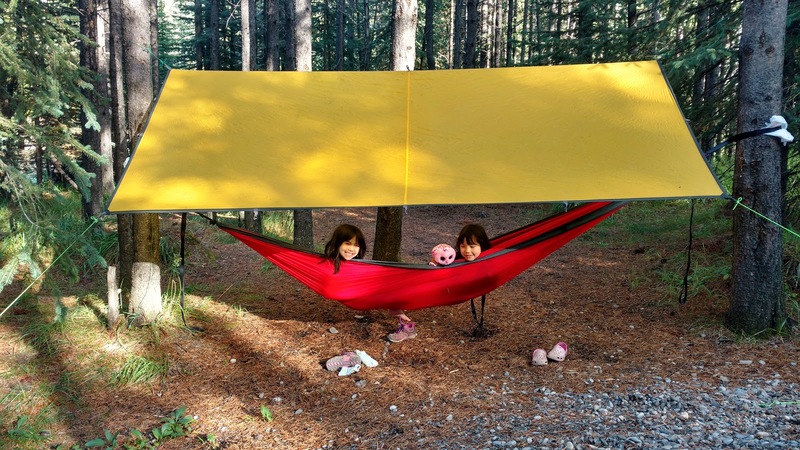 Hopefully the hammocks will be on Amazon.ca soon!! :) They are really nice!